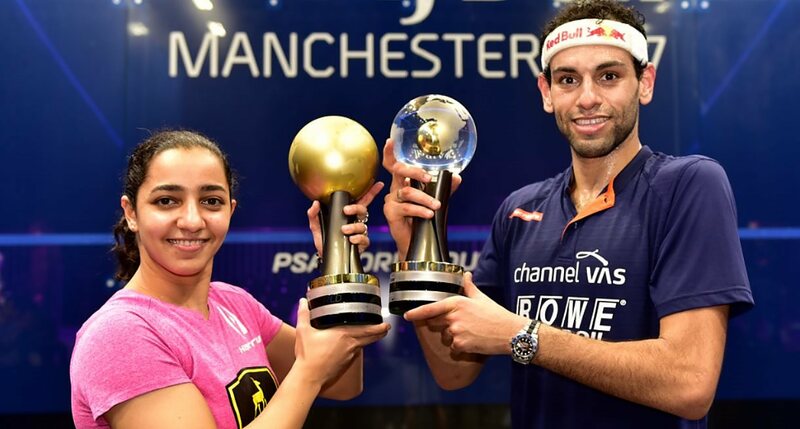 Bristol-based brothers Mohamed and Marwan ElShorbagy will become the first siblings in history to contest the Men’s World Championship Final when they go head-to-head in tomorrow on a day that will also see fellow Egyptians Nour El Sherbini and Raneem El Welily contest the women’s final at Manchester Central Convention Complex. 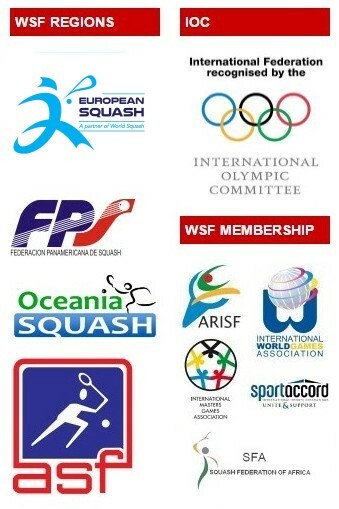 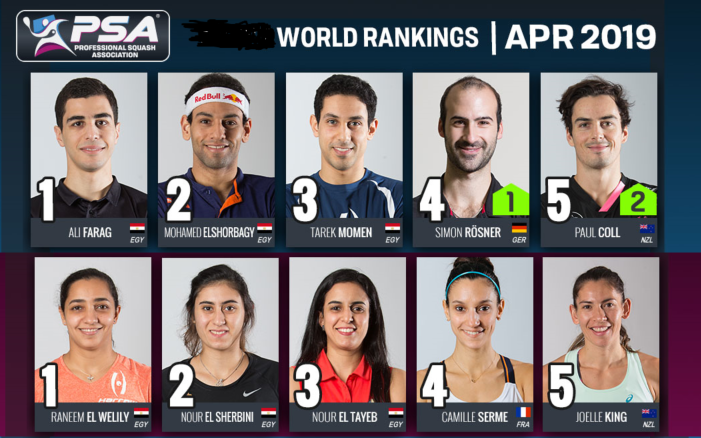 Since the first men’s World Championships in 1976, some of the greatest names ever to play the sport have gotten their hands on the coveted title and Mohamed and Marwan will have the chance to add their names to the elite list of previous winners after respective wins over World No.1 Gregory Gaultier and World No.3 Ali Farag in the semi-finals. Mohamed is set to compete in his third World Championship final after beating Frenchman Gaultier by an 12-10, 11-4, 11-9 scoreline and he will look to make amends for defeats to Ramy Ashour in both the 2012 and 2014 finals as he aims to capture the only major title missing from his trophy cabinet. 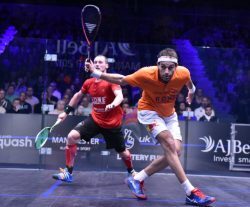 “Greg is 34-years-old and I’m 26-years old and that’s the 22nd time we have played on Tour, so I think that shows how great of a player he is because I hope at his age I can play even half as well as the way he is playing,” said ElShorbagy, who has now reached seven PSA World Tour finals in a row. 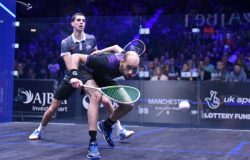 “We always play tough matches together, the first game was very crucial, just like how it was with Nick and Ramy [in the quarter finals and third round], so taking the first game gives you a huge boost for the rest of the match. 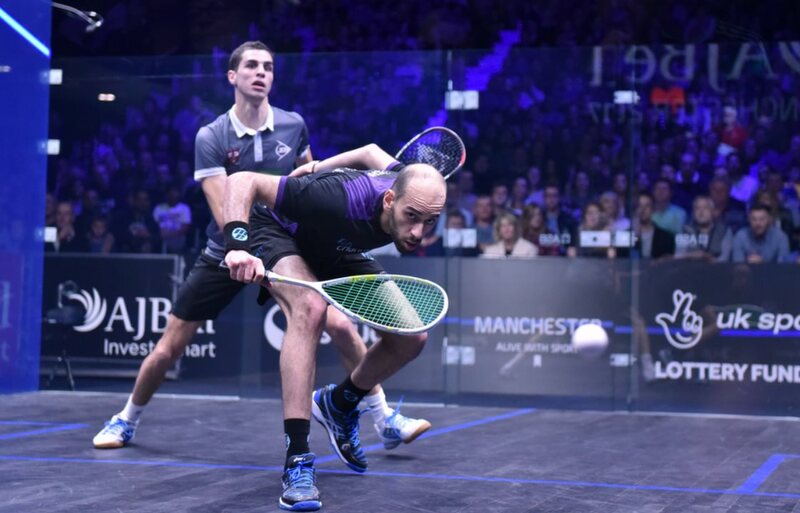 Marwan, meanwhile, will appear in his maiden World Championship final after he came through a gruelling five-game encounter with Farag 11-8, 4-11, 9-11, 11-7, 11-9. 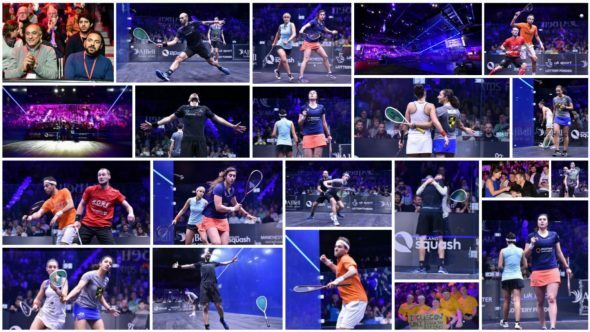 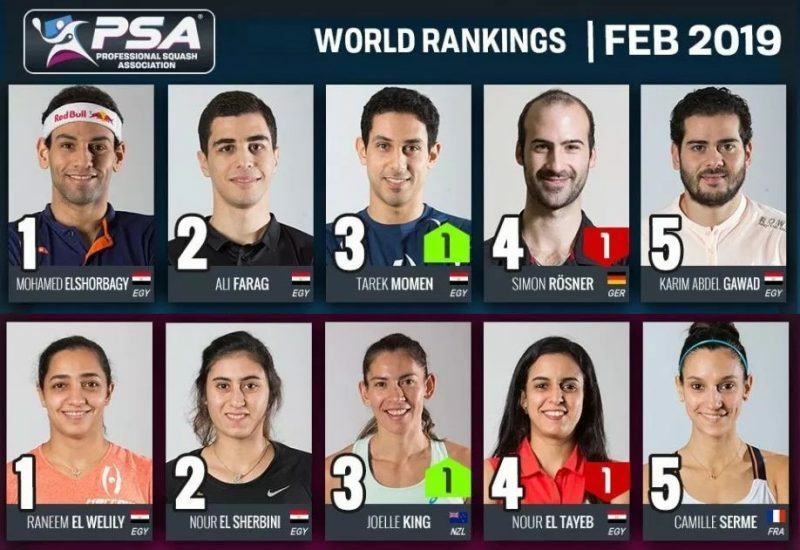 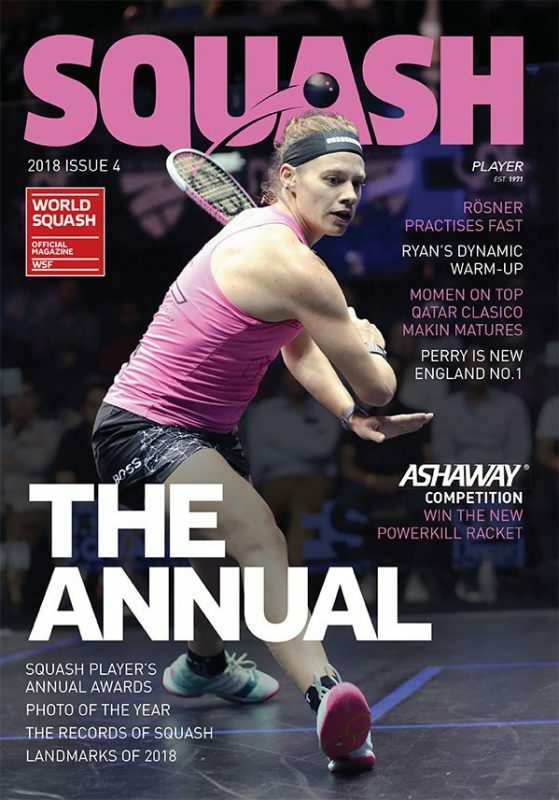 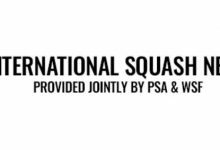 The brothers will meet for the 11th time on the PSA World Tour, with Mohamed having won 8 of their previous clashes, and they will be the first siblings to compete in a World Championship final since the Grinham sisters, Rachael and Natalie, who reached the 2007 women’s final. 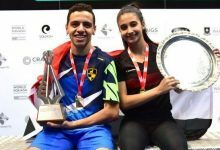 “It feels amazing,” said Marwan. 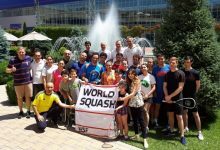 “This is for our family. 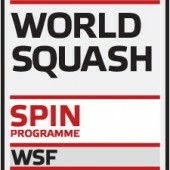 Two brothers in a final, I don’t think it has ever been done before. We’re so close to each other and it is a dream for both of us and these are the kind of things you visualise when you are young, it’s a dream come true. 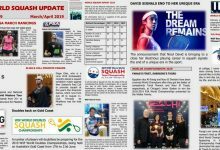 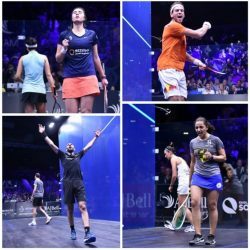 The women’s final will be a repeat of April’s World Championship title-decider in El Gouna after El Sherbini and El Welily came through contrasting semi-final fixtures, and they will go head-to-head for the $45,000 prize purse, which is equal to the men’s prize money for the first time ever. 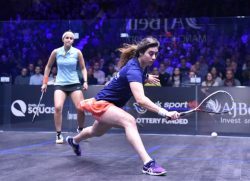 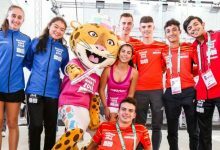 El Sherbini, who in the 2015 edition became the youngest female World Champion of all time, got the better of El Welily eight months ago and she will target a third successive World Championship crown after storming to an 11-0 win in the fifth game of a nervy clash with compatriot Nour El Tayeb – who is married to Farag. “I’ve never had a match like that in the last game, it’s weird,” said World No.1 El Sherbini. 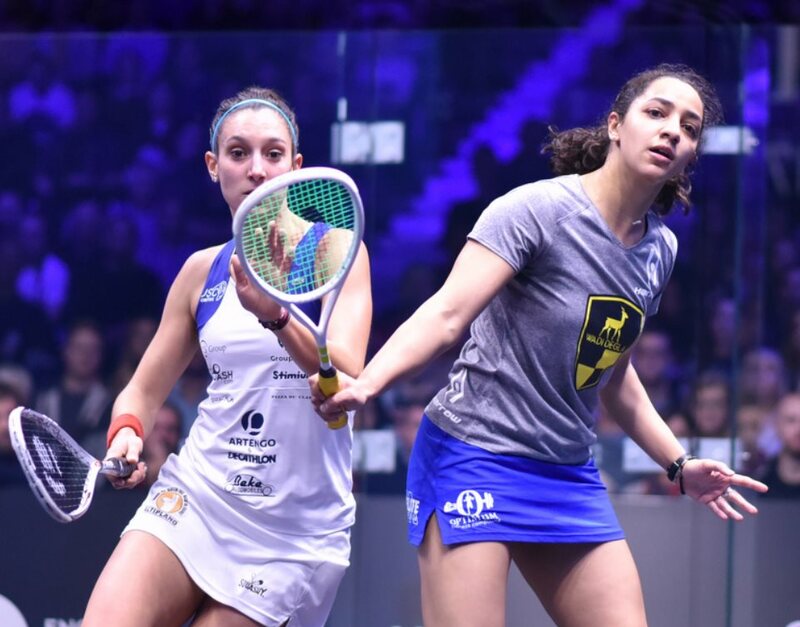 El Welily, meanwhile, had an easier time of things against World No.3 Camille Serme as she dominated her French opponent to take an 11-7, 11-9, 11-7 win in 39 minutes, sending Serme out at the last four stage for the second time in a row. 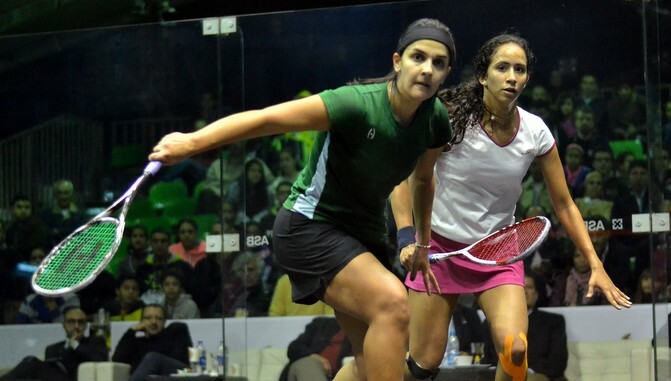 “Happy to be through today,” said El Welily, who also tasted defeat in the 2014 final against Malaysia’s Nicol David. 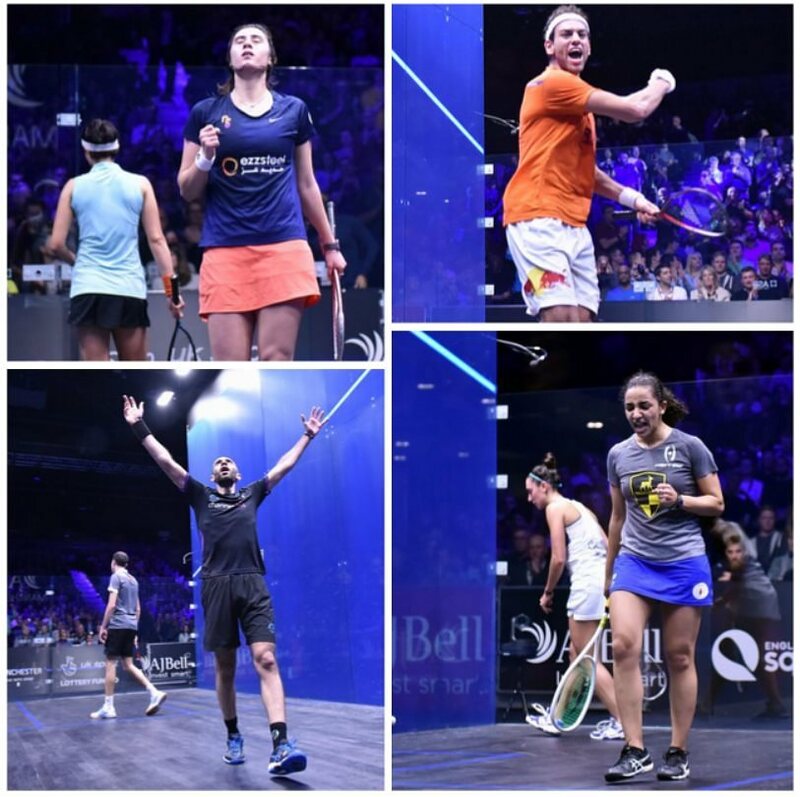 “It’s never easy against Camille, we speak a lot about the world open together, her and I, I know how much she wanted it, I hate to be the one to take her out of it, but that’s the sport.